author corner | Take Home a Souvenir! 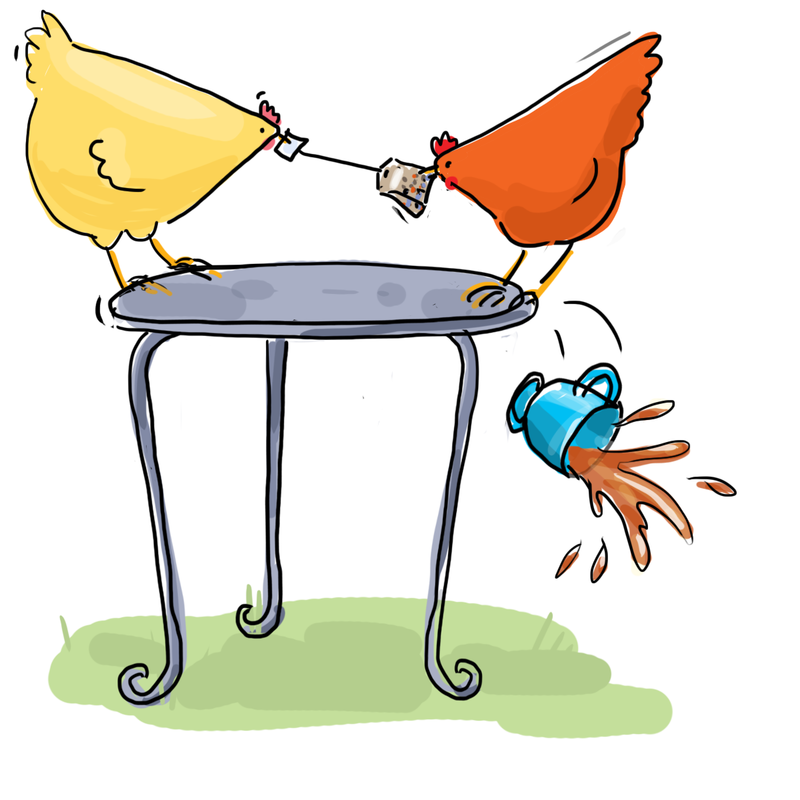 Lauren Scheuer is the author of ONCE UPON A FLOCK, a beautifully illustrated account of life with her chickens. 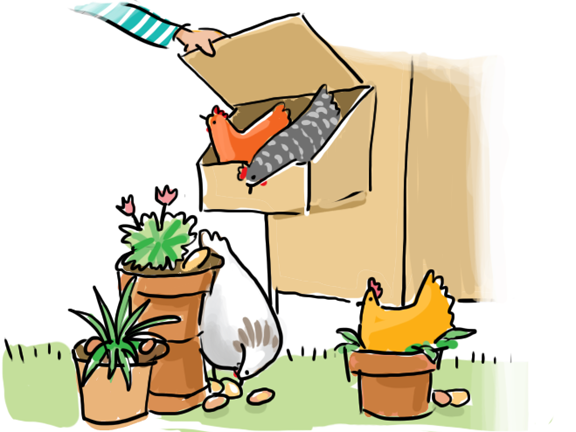 A must-read for all animal lovers, you can read a free sample here, or read on for Lauren’s illustrated guide to daily life with her flock. 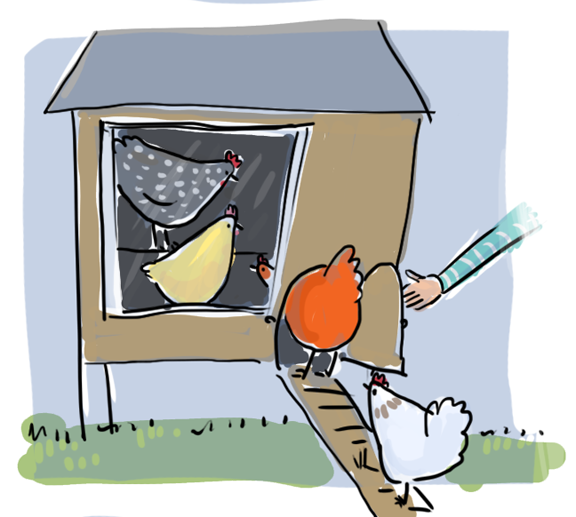 You’ll be drawing up plans for your own backyard coop before you know it! 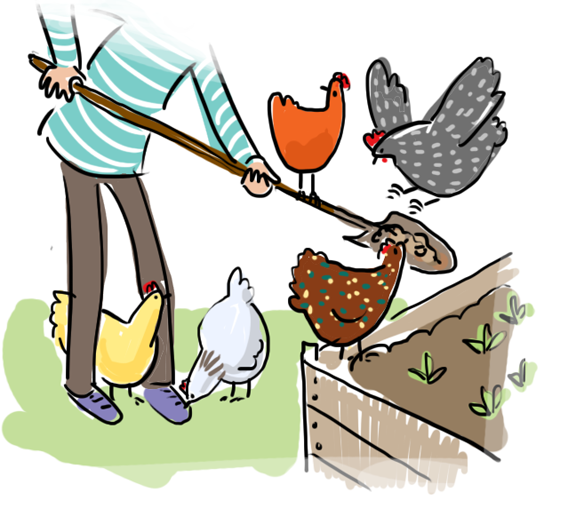 Chickens are the ideal addition to any backyard. 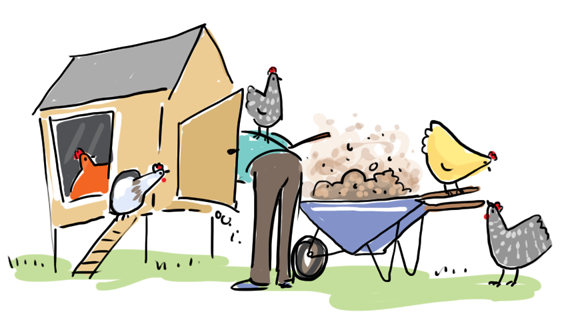 With very little trouble, you can have fresh eggs for the table and fresh compost for the garden. 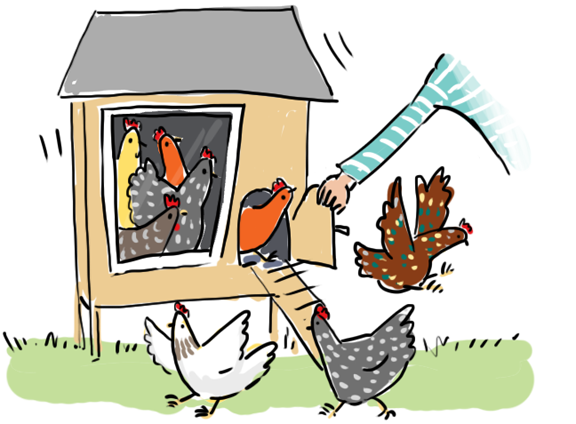 All it takes is a quick jaunt out back first thing in the morning to unlatch the coop and set your ladies free. After you’ve had breakfast, your hens will appreciate the leftover crumbs. As long as you’re outside, you might as well do a bit of gardening. The daily collecting of eggs is always joyful. Lunchtime already? 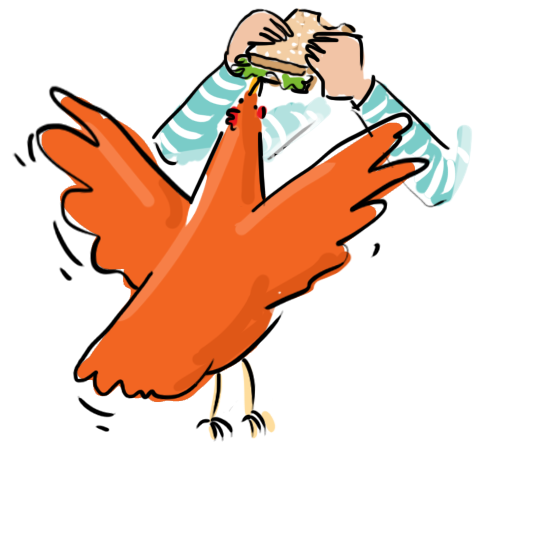 Might as well savour that sandwich outside among the gals. A quick coop clean-out won’t take long. Afternoon tea tastes best when sipped in the garden. 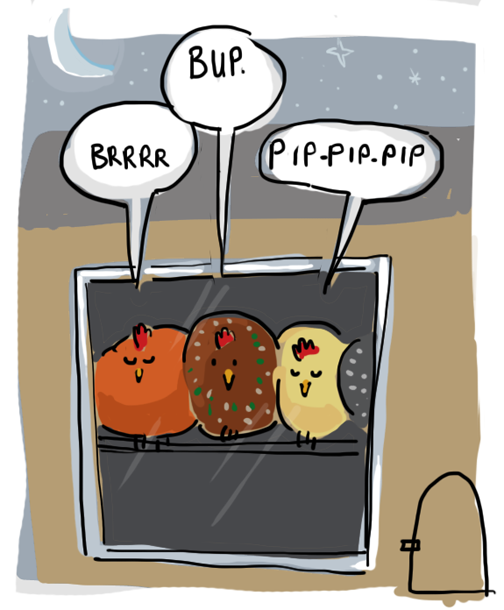 As the sun sinks low, your ladies will file back into their coop. You’ll need to make only one final trip outside to close their door . And to hear them whisper back.